Abbott, I.A. and G.J. Hollenberg. 1976. Marine algae of California. Stanford University Press, Stanford, CA. Adams, J. 2008. Cassin’s Auklet (Ptychoramphus aleuticus) pp. 204-212. In: W.D. Shuford and T. Gardali (eds.). California bird species of special concern: a ranked assessment of species, subspecies, and distinct populations of birds of immediate conservation concern in California. Studies of Western Birds 1. Western Field Ornithologists, Camarillo, California, and California Department of Fish and Game, Sacramento, California. Adams, J., J.Y. Takekawa, and H.R. Carter. 2004. Stable foraging areas and variable chick diet in Cassin’s auklets (Ptychoramphus aleuticus) off Southern California. Canadian Journal of Zoology. Vol 82. pp. 1578-1595. Altstatt J. 2005. Restoration of a historic eelgrass (Zostera marina) bed at Frenchy’s Cove, Anacapa Island. Proceedings of the Sixth California Islands Symposium. D.K. Garcelon and C. A. Schwemm (Eds.) National Park Service Technical Publication CHIS-05-01, Institute for Wildlife Studies, Arcata, CA. 397-403pp. Altstatt, J. 2007. Final Report on Santa Barbara Channelkeeper/CINMS 2006 Pilot Water Quality Monitoring Project Submitted to CINMS by Santa Barbara Channelkeeper on July 27, 2007. Anderson, C.R., D.A. Siegel, N. Guillocheau, M.A. Brzezinski. 2008. Controls on temporal patterns in phytoplankton community structure in the Santa Barbara Channel, California. Journal of Geophysical Research 113:C04038. Andrew, R.K., B.M. Howe, J.A. Mercer, M.A. Dzieciuch. 2002. Ocean ambient sound: comparing the 1960s with the 1990s for a receiver off the California coast. Acoustics Research Letters Online 3(2)47-82. Bane, J.M., Y.H. Spitz, R.M. Letelier, W.T. Peterson. 2007. Jet stream intraseasonal oscillations drive dominant ecosystem variations in Oregon’s summertime. Proceedings of the National Academy of Sciences. 104(33)13262-13267. Barlow, J. and K. Forney. 2007. Abundance and population density of cetaceans in the California current system. Fishery Bulletin 105:509-526. Barth, J.A., B.A. Menge, J. Lubchenco, F. Chan, J.M. Bane, A.R. Kirincich,M.A. McManus, K.J. Nielsen, S.D. Pierce, and L. Washburn. 2007. Delayed upwelling alters nearshore coastal ocean ecosystems in the northern California current. PNAS March 6, 2007 vol. 104 no. 10 3719-3724. Bay, S.M., T. Mikel, K. Schiff, S. Mathison, B. Hester, D. Young, D. Greenstein. 2005. Southern California Bight 2003 regional monitoring program: I. Sediment Toxicity. Southern California Coastal Water Research Project. Westminster, CA. Behrens, M.D. and K.D. Lafferty. 2004. Effects of marine reserves and urchin disease on Southern California rocky reef communities. Marine Ecology Progress Series 279: 129-139. Electronic document available. Blasius, M. and G. Goodmanlowe. 2008. Contaminants still high in top level carnivores in the Southern California Bight: levels of DDT and PCBs in resident and transient pinnipeds. Marine Pollution Bulletin 56(12):1973-1982. Burkett, E.E., N.A. Rojek, A.E. Henry, M.J. Fluharty, L. Comrack, P.R. Kelly, A.C. Mahaney, K.M. Fien. 2003. Report to the California Fish and Game Commission: status review of Xantus's Murrelet (Synthliboramphus hypoleucus) in California. Unpublished report, California Department of Fish and Game, Habitat Conservation Planning Branch, Status Report 2003-01, Sacramento, California. 70pp (plus appendices). Busse L.B., E.L. Venrick, R. Antrobus, P.E. Miller, V. Vigilant, M.W. Silver, C. Mengelt, L. Mydlarz, B. Prezelin. 2006. Domoic acid in phytoplankton and fish in San Diego, CA, USA. Harmful Algae 5:91-101. Calambokidis, J. and J. Barlow. 2004. Abundance of blue and humpback whales in the eastern North Pacific estimated by capture-recapture and line-transect methods. Marine Mammal Science 20(1):63-85. Calambokidis, J., J. Barlow, E.A. Falcone, L. Schlender, A.B. Douglas, G.H. Steiger, K.B. Ford. 2005. Changes in abundance of humpback whales off the west coast of the U.S. Abstract (Proceedings) 16th Biennial Conference on the Biology of Marine Mammals, San Diego, CA, December 12-16, 2005. Calambokidis, J., A. Douglas, E. Falcone, and L. Schlender. 2007. Abundance of blue whales off the US West Coast using photographic identification. Conducted Report for PO: AB133F06SE3906 from Southwest Fisheries Science Center, La Jolla, CA. Electronic document available. Calambokidis, J., E.A. Falcone, T.J. Quinn, A.M. Burdin, P. Clapham, J.K.B. Ford, C.M. Gabriele, R. LeDuc, D. Mattila, L. Rojas-Bracho, J. M. Straley, B.L. Taylor, J. Urbán, D. Weller, B.H. Witteveen, M. Yamaguchi, A. Bendlin, D. Camacho, K. Flynn, A. Havron, J. Huggins, N. Maloney. 2008. SPLASH: Structure of Populations, Levels of Abundance and Status of Humpback Whales in the North Pacific, Final report for Contract AB133F-03-RP-00078. Electronic document available. Capitolo. P.J., J.N. Davis, L.A. Henkel, W.B. Tyler, and H.R. Carter. 2008. Aerial photographic surveys of breeding colonies of Brandt’s, Double-Crested, and Pelagic Cormorants in Southern California, 2005-2007. Unpublished report, University of California, Institute of Marine Sciences, Santa Cruz, California. 49pp. Carr, M.H. 1994. Effects of macroalgal dynamics on recruitment of a temperate reef fish. Ecology 75(5):1320-1333. Carter, H.R., G.J. McChesney, D.L. Jaques, C.S. Strong, M.W. Parker, J.E. Takekawa, D.I. Jory, D.L. Whitworth. 1992. Breeding populations of seabirds in California, 1989-1991. Volume I - Population estimates. Unpublished report, U.S. Fish and Wildlife Service, Northern Prairie Wildlife Research Center Dixon, California. 491pp. Carter, H.R., G.J. McChesney, J.E. Takekawa, L.K. Ochikubo, D.L. Whitworth, T.W. Keeney, W.R. McIver, C.S. Strong. 1996. Population monitoring of seabirds in California: 1993-1995 aerial photographic surveys of breeding colonies of Common Murres, Brandt’s Cormorants and Double-crested Cormorants. Unpublished final report, U.S. Geological Survey, California Science Center, Dixon, California. Carter, H.R., D.L. Whitworth, J.Y. Takekawa, T.W. Keeney, P.R. Kelly. 2000. At-sea threats to Xantus’ Murrelets (Synthliboramphus hypoleucus) in the Southern California Bight. pp. 435-447. In: D.R. Browne, K.L. Mitchell, H.W. Chaney (eds.). Proceedings of the fifth California Islands symposium. 29 March to 1 April 1999. U.S. Minerals Management Service, Camarillo, California. Carter, H.R., W.R. McIver, J. Adams, J.Y. Takekawa. 2007. Population monitoring of Ashy Storm-Petrels and Cassin’s Auklets at Santa Cruz Island, California, in 2006. Unpublished report, Carter Biological Consulting, Victoria, British Columbia; U.S. Fish and Wildlife Service, Ventura, California; and U.S. Geological Survey, Moss Landing & Vallejo, California. 32pp. Carter, H.R., W.R. McIver, G.J. McChesney. 2008. Ashy Storm-Petrel (Oceanodroma homochroa). pp. 117-124. In: W.D. Shuford, and T. Gardali (eds.). California Bird Species of Special Concern: A ranked assessment of species, subspecies, and distinct populations of birds of immediate conservation concern in California. Studies of Western Birds 1. Western Field Ornithologists, Camarillo, California, and California Department of Fish and Game, Sacramento, California. CDFG (California Department of Fish and Game). 2005. Final market squid fishery management plan. Electronic document available. CDFG (California Department of Fish and Game). 2006. 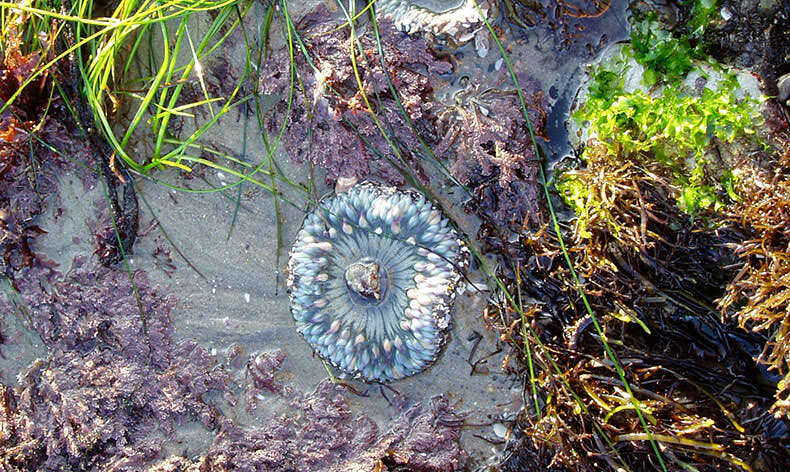 California sea urchin fishery report: 2005 wrap-up. Electronic document available. CDFG (California Department of Fish and Game). 2007. Presentation to Channel Islands National Marine Sanctuary Advisory Council Research Activities Panel, February 28, 2007. Available from CINMS. CDFG (California Department of Fish and Game), Partnership for Interdisciplinary Studies of Coastal Oceans, Channel Islands National Marine Sanctuary, and Channel Islands National Park. 2008. Channel Islands Marine Protected Areas: First 5 Years of Monitoring: 2003-2008. Airamé, S. and J. Ugoretz (eds.). 20pp. Electronic document available. Costanza, R., R. d'Arge, R. de Groot, S. Farber, M. Grasso, B. Hannon, K. Limburg, S. Naeem, R.V. O'Neill, J. Paruelo, R.G. Raskin, P. Sutton, M. van den Belt. 1997. The value of the world's ecosystem services and natural capital. Nature 387(6630):253-260. Dayton, P.K. 1985. Ecology of kelp communities. Annual Review of Ecological Systems 16:215-45. Dayton P.K., S. F. Thrush, M. T. Agardy, R. J. Hofman, 1995, Environmental effects of marine fishing. Aquatic Conservation: Marine and Freshwater Ecosystems 5(3)205-232. Den Hartog, C. 1970. The sea-grasses of the world. North Holland Pub. Co., Amsterdam, The Netherlands. Derraik, J.G.B. 2002. The pollution of the marine environment by plastic debris: a review. Marine Pollution Bulletin 44(9)842-852. Dugan, J.E. and G.E. Davis. 1993. Applications of marine refugia to coastal fisheries management. Canadian Journal of Fisheries and Aquatic Sciences 50:2029-2042. Evans, D.L. and G.R. England. 2001. Joint interim report, Bahamas marine mammal stranding event of 15-16 March 2000. Electronic document available. Engle, D.L. 2006. Assessment of coast water resources and watershed conditions at Channel Islands National Park, California. Technical Report NPS/NRWRD/NRTR-2006/354. Fabry, V.J., B.A. Seibel, R.A. Feely, J.C. Orr. 2008. Impacts of ocean acidification on marine fauna and ecosystem processes. ICES Journal of Marine Science 65:414–432. Fonseca M.S. and J.S. Fisher. 1986. A comparison of canopy friction and sediment movement between four species of seagrass with reference to their ecology and restoration. Marine Ecology Progress Series 29:15-22. Geiger, D. L. 1999. Distribution and biogeography of the recent Haliotidae (Gastropoda: Vetigastropoda) world-wide. Int. J. Malacology 120pp. Graham, M.H. 2004. Effects of local deforestation on the diversity and structure of Southern California giant kelp forest food webs. Ecosystems 7(4): 341-357. Gress, F. 1995. Organochlorines, eggshell thinning, and productivity relationships in Brown Pelicans breeding in the Southern California Bight. Ph.D. dissertation, University of California Davis, California. Gress, F. and D.W. Anderson. 1983. A recovery plan for the California Brown Pelican. U.S. Fish and Wildlife Service, Portland, Oregon. Gulland, F. 2000. Domoic acid toxicity in California sea lions (Zalophus californianus) stranded along the central California coast, May-October 1998. Report to the National Marine Fisheries Service Working Group on Unusual Marine Mammal Mortality Events. U.S. Department Commerce, NOAA Tech. Memo. NMFS-OPR-17 45pp. Harms, S. and C.D. Winant. 1998. Characteristic patterns of the circulation in the Santa Barbara channel. Journal of Geophysical Research 103(C2)3041-3065. Harrington, J.M., R.A. Myers, A.A. Rosenberg. 2005. Wasted fishery resources: discarded bycatch in the USA. Fish and Fisheries 6:350-361. Hastings, M.C. 1991. Harmful effects of underwater sound on fish. Journal of the Acoustical Society of America 90(4)2335. Hays, G.C., A.J. Richardson, C. Robinson. 2005. Climate change and marine plankton. Trends in Ecology and Evolution 20(6):337-344. Heck, K.L., G. Hays, R.J. Orth. 2003. Critical evaluation of the nursery role hypothesis for seagrass beds. Marine Ecology Progress Series 253: 123-136. Hemminga, M. and C.M. Duarte. 2000. Seagrass Ecology. Cambridge (United Kingdom): Cambridge University Press. Hendershott, M.C. and C.D. Winant. 1996. Surface circulation in the Santa Barbara Channel. Oceanography 9(2):114-121. Hobday, A.J., M.J. Tegner, P.L. Haaker. 2001. Over-exploitation of a broadcast spawning marine invertebrate: decline of the white abalone. Reviews in Fish Biology and Fisheries 10:493–514. Hornafius, J.S., D.C. Quigley, B.P. Luyendyk. 1999. The world’s most spectacular marine hydrocarbons seeps (Coal Oil Point, Santa Barbara Channel, California): quantification of emissions. Journal Geophysical Research 104(C9): 20703-20711. Jackson, J.B.C., M.X. Kirby, W.H. Berger, K.A. Bjorndal, L.W. Botsford, B.J. Bourque, R.H. Bradbury, R. Cooke, J. Erlandson, J.A. Estes, T.P. Hughes, S. Kidwell, C.B. Lange, H.S. Lenihan, J.M. Pandolfi, C.H. Peterson, R.S. Steneck, M.J. Tegner, R.R. Warner. 2001. Historical overfishing and the recent collapse of coastal ecosystems. Science 293:629 – 637. Jarvis, E., K. Schiff, L. Sabin, M.J. Allen. 2007. Chlorinated hydrocarbons in pelagic forage fishes and squid of the Southern California bight, USA. Southern California Coastal Water Research Project, Annual Report. pp 245-258. Johnson, J.R., T.W. Stafford, H.O. Ajie, D.P. Morris, Arlington Springs revisited. 1999. 541-545pp. In: Browne, D K. Mitchell and H. Chaney (eds), Proceedings of the Fifth California Islands Symposium. Santa Barbara Museum of Natural History, Santa Barbara, CA. Jones, J.B. 1992. Environmental impact of trawling on the seabed – a review. New Zealand Journal of Marine and Freshwater Research 26(1):59-67. Karnovsky, N.J., Spear, L.B., Carter, H.R., Ainley, D.G., Amey, K.D., Ballance, L.T., Briggs, K.T., Ford, R.G., Hunt, G.L., Jr., Keiper, C., Mason, J.W., Morgan, K.H., Pitman, R.L. and Tynan, C.T. 2005. At-sea distribution, abundance and habitat affinities of Xantus’s Murrelets. Marine Ornithology 33:89-104. Ketten, D.R. 1998. Marine mammal auditory systems: a summary of audiometric and anatomical data and its implications for underwater acoustic impacts. National Oceanic and Atmospheric Administration, National Marine Fisheries Service, Southwest Fisheries Science Center Technical Memorandum No. NOAA-TM-NMFS-SWFSC 256. Lafferty, K.D. 2004. Fishing for lobsters indirectly increases epidemics in sea urchins. Ecological Applications 14:6 1566-1573. Lafferty K.D. and M.D. Behrens, 2005. Temporal variation in the state of rocky reefs: does fishing increase the vulnerability of kelp forests to disturbance? Proceedings of the Sixth California Islands Symposium. 2005. D.K. Garcelon and C.A. Schwemm (Eds.). National Park Service Technical Publication CHIS-05-01, Institute for Wildlife Studies, Arcata, CA. 499-508pp. Leatherwood, S., R. Reeves, W. Perrin, W. Evans. 1982. Whales, dolphins and porpoises of the eastern north Pacific and adjacent arctic waters. NOAA Technical Report, National Marine Fisheries Service. Leatherwood, S., B. Stewart, P. Folkens. 1987. Cetaceans of the Channel Islands National Marine Sanctuary. Channel Islands National Marine Sanctuary, NOAA and the National Marine Fisheries Service. Leet, W.S., C.M. Dewees, R. Klingbeil, E.J. Larson. 2001. California’s living marine resources: a status report, California Department of Fish and Game.University of California. Agriculture and Natural Resources. Publication SG01-11. Leeworthy, V.R. and P.C. Wiley. 2003 Socioeconomic impact analysis prepared for the Channel Islands National Marine Sanctuary. U.S. Department of Commerce, National Oceanic and Atmospheric Administration, National Ocean Service, Special Projects Office, Silver Spring, Maryland. Love, M.S., J.E. Caselle, W. Van Buskirk. 1998. A severe decline in the commercial passenger fishing vessel rockfish (Sebastes spp.) catch in the Southern California bight, 1980-1996. CalCOFI Report 39:180-195. Mantua N.J. and S.R. Hare. 2002. The Pacific decadal oscillation. Journal of Oceanography 58: 35-44. McGowan, J.A., D.R. Cayan, L.M. Dorman. 1998. Climate-ocean variability and ecosystem response in the northeast Pacific. Science 281(5374):210-217. McDonald, M.A., J.A. Hildebrand, S.M. Wiggins. 2006. J. Acoust. Soc. Am. 120 (2)711-718. McPhee-Shaw, E.E., D.A. Siegel, L. Washburn, M.A. Brzezinski, J.L. Jones, A. Leydecker, J. Melack. 2007. Mechanisms for nutrient delivery to the inner shelf: observations from the Santa Barbara Channel. Limnology and Oceanography 52(5):1748–1766. Miller, K.A., J.M. Engle, S. Uwai, H. Kawai. 2006. First report of the Asian seaweed Sargassum filicinum Harvey (Fucales) in California, USA. Biological Invasions 9(5)609-613. Morris, D. P. and Lima, J. 1996. Channel Islands National Park and Channel Islands National Marine Sanctuary - submerged cultural resources assessment. Submerged Cultural Resources Unit National Park Service. Murray, S.N. and R.N. Bray. 1993. Benthic macrophytes. pp 304-368 In:M.D. Dailey, D.J. Reish, J.W. Anderson (eds.). Ecology of the Southern California bight: a synthesis and interpretation. University of California Press, Berkeley, CA pp. 304-368. Myrberg, A.A. Jr. 1990. The effects of man-made noise on the behavior of marine animals. Environment International 16:575-586. NMSP (National Marine Sanctuary Program). 2004. A monitoring framework for the national marine sanctuary system. U.S. Dept. of Commerce, National Oceanic and Atmospheric Administration, National Ocean Service. Silver Spring, MD. 22pp. NOAA Fisheries (NOAA National Marine Fisheries Service). 2008. Annual report to congress on the status of U.S. Fisheries-2007, U.S. Department of Commerce, NOAA, Natl., Mar. Fish. Serv., Silver Spring, MD, 23pp. Electronic document available. Norris, R.M. and R.W. Webb. 1990. Geology of California. John Wiley and Sons, New York. Novelli, A., M.T. Fernandez-Sanchez, J. Kispert, A. Torrelanca, S. Gascon, V. Zitko. 1992. The amnesic shellfish poison domoic acid enhances neurotoxicity by excitatory amino acids in cultured neurons. Amino Acids 2(3)233-244. Orth, R.J., K.L. Heck Jr,, J. Van Montfrans. 1984. Faunal communities in seagrass beds: a review of the influence of plant structure and prey characteristics on predator-prey relationships. Estuaries 7(4A):339-350. Otero, M.P. and D.A. Siegel. 2004. Spatial and temporal characteristics of sediment plumes and phytoplankton blooms in the Santa Barbara Channel. Deep-Sea Research II 51:1129-1149. Polger S., S. Polefka, A. Eastley. 2005. A water quality needs assessment for the Channel Islands National Marine Sanctuary, submitted to the Channel Islands National Marine Sanctuary Advisory Council by the Conservation Working Group. Electronic document available. Port of Long Beach. 2005. Annual report and facilities guide, Port of Long Beach annual report 2005. Raupach, M.R., G. Marland, P. Ciais, C. Le Que´ re´ , J.G. Canadell, G. Klepper, C.B. Field. 2007. Global and regional drivers of accelerating CO2 emissions. Proceedings of the National Academy of Sciences 104(24)10288-10293. Resources Agency of California. 1997. California’s Ocean Resources: An Agenda for the Future. Electronic document available. Richards, D.V. 1993. Marine debris monitoring program 1993 annual report, National Park Service, Channel Islands National Park, Technical Report CHIS-94-04. Richardson, W.J. and B. Wursig. 1997. Influences of man-made noise and other human actions on cetacean behaviour. Marine and Freshwater Behavior and Physiology 29(1-4):183-209. Rogers-Bennett L., B. L. Allen, and G. E. Davis. 2004. Measuring abalone (Haliotis spp.) recruitment in California to examine recruitment overfishing and recovery criteria. Journal of Shellfish Research 23(4): 1201-1207. Schiff, K., K. Maruya, K. Christensen. 2006. Southern California Bight 2003 Regional Monitoring Program: II. Sediment Chemistry.Southern California Coastal Water Research Project. Westminster, CA. Schnetzer A., P.E. Miller, R.A. Schaffner, B.A. Stauffer, B.H. Jones, S.B. Weisberg, P.M. DiGiacomo, w.M. Berelson, D.A. Caron. 2007. Blooms of Pseudo-nitzschia and domoic acid in the San Pedro Channel and Los Angeles harbor areas of the Southern California Bight, 2003-2004. Harmful Algae 6:327-387. Scholin, C.A., F. Gulland, G.J. Doucette, S. Benson, M. Busman, F. Chavez, J. Cordaro, E.F. Delong, A.D. Vogelaere, J. Harvey, M. Haulena, K. Lefebvre, T. Lipscomb, S. Loscutoff, L.J. Lowenstine, R. Marin III, P.E. Miller, W.A. McLellan, P.D.R. Moeller, C.L. Powell, T. Rowles, P. Silvagni, M.W. Silver, T. Spraker, V.L. Trainer, F.M.V. Dolah. 2000. Mortality of sea lions along the central California coast linked to a toxic diatom bloom. Nature 403:80-84. Schwemmer, R. 2001. Shipwreck Winfield Scott Artifact Disturbance Report Recorded 25 July 2001. Channel Islands National Marine Sanctuary unpublished report. Schwemmer, R. 2002. Shipwrecks as environmental threats to California’s National Marine Sanctuaries California and World Ocean Conference, Santa Barbara, California. pp 785-796 In: California and the World Ocean '02: Revisiting and Revising California's Ocean Agenda: Proceedings of the Conference, October 27-30, 2002, Santa Barbara California (Reston, VA: American Society of Civil Engineers, 2005). Senyk, N., D. Greenberg, B. Waltenberger. 2008. Changes in vessel distribution before and after state marine protected areas were established. Presented at the Channel Islands Marine Reserves Symposium Special Session, February 8, 2008. Smith, J.R., P. Fong, R.F. Ambrose. 2006a. Dramatic declines in mussel community diversity: response to climate change? Ecology 87:1153-1161. Smith, J.R., R.F. Ambrose, P. Fong. 2006b. Long-term change in mussel (Mytilus californianus Conrad) populations along the wave-exposed coast of Southern California. Marine Biology 149:537-545. Smith, R.I. and J.T. Carlton. 1975. Light’s manual: Intertidal invertebrates of the central California coast, 3rd Edition. University of California Press, Berkeley, CA. Southall, B.L. 2005. Shipping Noise and Marine Mammals: a Forum for Science, Management, and Technology. Final Report of the National Oceanic and Atmospheric Administration (NOAA) International Symposium. U.S. NOAA Fisheries, Arlington, Virginia, May 18-19, 2004, 40 pp. Straughan, D. and R. W. Klink. 1980. A taxonomic listing of common marine invertebrate species from Southern California. Technical Report No. 3 Prep. by Allan Hancock Foundation, University of Southern California, Los Angeles, CA. Sydeman W.J., M.M. Hester, J.A. Thayer, F. Gress, P. Martin, J. Buffa. 2001. Climate change, reproductive performance and diet composition of marine birds in the Southern California Current system, 1969-1997. Progress in Oceanography 49:309-329. Tegner, M.J. and P.K. Dayton. 2000. Ecosystem effects of fishing in kelp forest communities. ICES Journal of Marine Science 57(3):579-589. Thompson, B., J. Dixon, S. Schroeter, D.J. Reish. 1993. Benthic Invertebrates. In:Ecology of the Southern California bight: a synthesis and interpretation. M.D. Daily, D.J. Resih, J.W. Anderson (eds.) University of California Press, Berkeley, CA., pp. 369-458. Tissot, B.N., M.M. Yoklavich, M.S. Love, K. York, M. Amend. 2006. Benthic invertebrates that form habitat on deep banks off Southern California, with special reference to deep sea coral. Fishery Bulletin 102(2)167-181. U.S. Department of Commerce., National Oceanic and Atmospheric Administration, National Marine Sanctuary Program. 2007. Channel Islands National Marine Sanctuary final environmental impact statement for the consideration of marine reserves and marine conservation areas. Silver Spring, MD. Watling, L. and E.A. Norse. 1998. Disturbance of the seabed by mobile fishing gear: a comparison to forest clearcutting. Conservation Biology 12(6):1180-1197. Watts, J., B. Fulfrost, J. Erlandson. 2008. Searching for Santarosae, The Santarosae Maritime Landscape Survey. Reconstructing paleo-environments to find submerged evidence of human habitation. Society for Historical Archeology Conference 2008. Whitworth, D.L., J.S. Koepke, H.R. Carter, F. Gress, D. Lipski. 2006. Nest monitoring of Xantus’s Murrelets at Anacapa Island, California: 2006 annual report. Unpublished report, California Institute of Environmental Studies, Davis, California (prepared for the American Trader Trustee Council and Channel Islands National Park). 27pp. Winant, C.D., E.P. Dever, M.C. Hendershott. 2003. Characteristics patterns of shelf circulation at the boundary between central and Southern California. Journal of Geophysical Research 108(C2):3021.